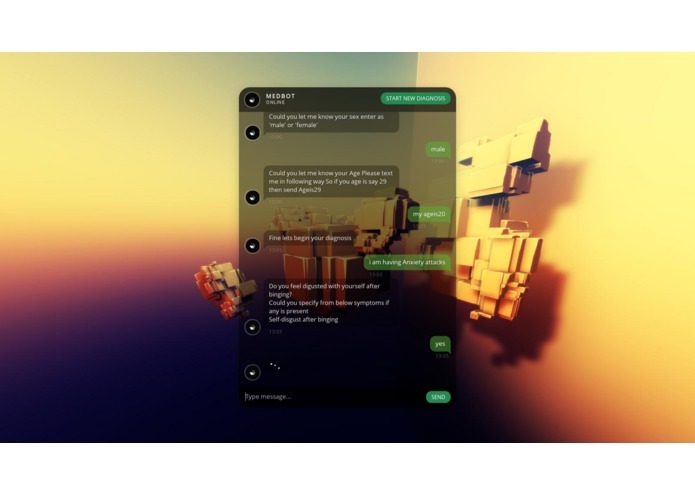 With the advent of chat applications, the beginning of a new era was marked which will have people all connected through such applications. Such applications reduced the communication gap considerably between the masses. Hence, the seeding of our idea to build Medbot. 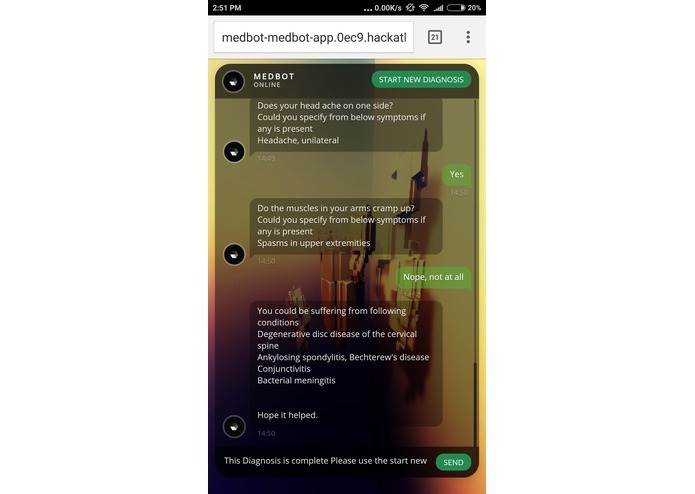 People love the idea to communicate using chat applications and thus MedBot can help bridge the gap between common people and their knowledge about their own medical conditions. Fun part is that anyone can do this using a chat user interface. 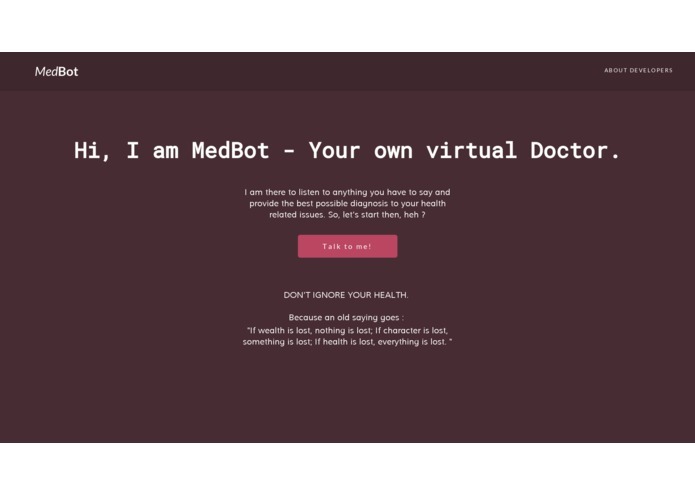 People will have an interactive chat with Medbot which will be targeted towards medical conditions of a person. Medbot can help you diagnose your own condition and hence suggest possible conditions one might be suffering. 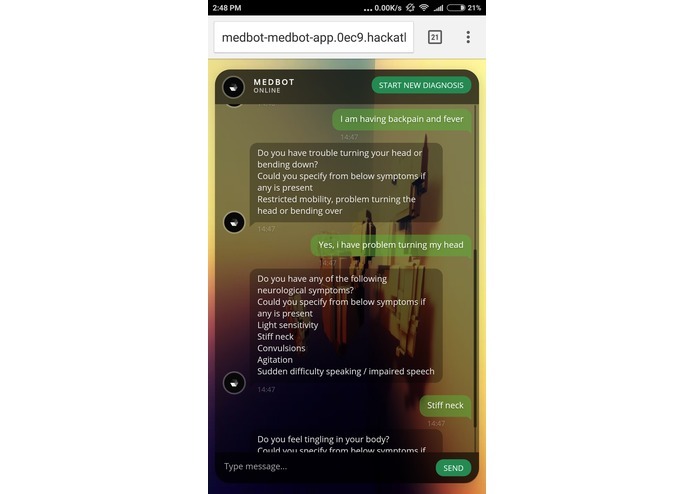 A person can chat with Medbot and tell it about its symptoms and MedBot would inquire information from the person so as to provide him or her, possible conditions one might be suffering from. We have used the infermedica API for the core data provision. NodeJS has been used for making the backend for the MedBot with the use of natural library for NLP operations. Front end has been built in core CSS and HTML using JS with Jquery for AJAX requests. The Openshift platform has been used for running the NodeJS server and expose a REST API to interact with front end. Although the server provides a web app, the REST API exposed could be used with any other App if required. MongoDB has been used to hold data for the ongoing chats. 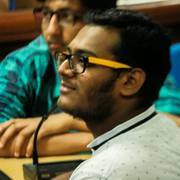 As this was our first hackathon, building something like this definitely provided a boost in the confidence and knowledge gained can be used as an experience in other such hackathons. 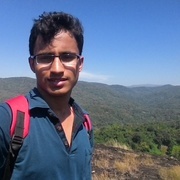 3) Great adventure with the asynchronous nature of NodeJS. 4) Some basics in the direction of building great user interface design. 1) Improvement over NLP to understand users better. 2) Interface improvements to make it even more comfortable to interact with. I worked upon back-end and made all the NodeJs code to expose REST Api. I got quite a experience with node after making MedBot. 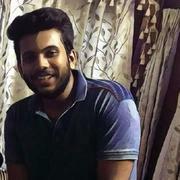 I Worked on the chat box interface design using html ,css, jquery to design the responsive chatbox page and the developers page and even learned a bit of scraping to scrape the data from a medical website (since we were first planning to make our own database for the Bot) but later we switched our project to API use due to shortage of time. And also it was built during our exams days which was again a great experience to manage things (actually manage to make this bot ... exams were secondary) . I worked on front-end mainly , designing the landing page and ideation of some details on the chatbox page. As this was my first hackathon, it was definitely a good experience to gain in user interface design. I worked upon back-end and interaction with Infermedica API. I also worked on NLP used in this project.